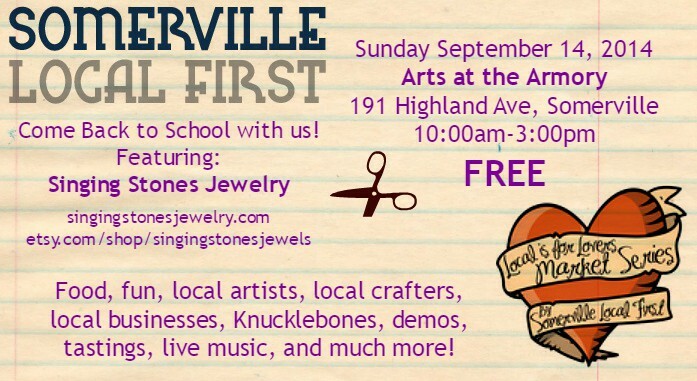 I’ll be there as a vendor with Singing Stones Jewelry and my friend Erica will be there with her jewelry and Smiley Baby Hats. Also in attendance will be the fabulous Gravestone Girls. The Armory is accessible by the MBTA bus routes 88 and 90, is completely handicap accessible, and is a 15 minute walk from the Davis Sq red line. Parking *may* be available but don’t count on it. Bike racks are also available.